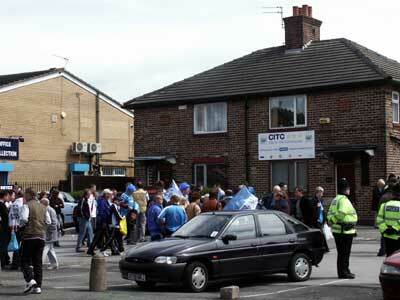 Over the years there have not been many occasions when I have spent a great deal of time at the front of the ground and they were usually special 'occasions' - The efforts to get rid of a chairman, queuing for tickets - particularly the Gillingham game - who could ever forget that day! 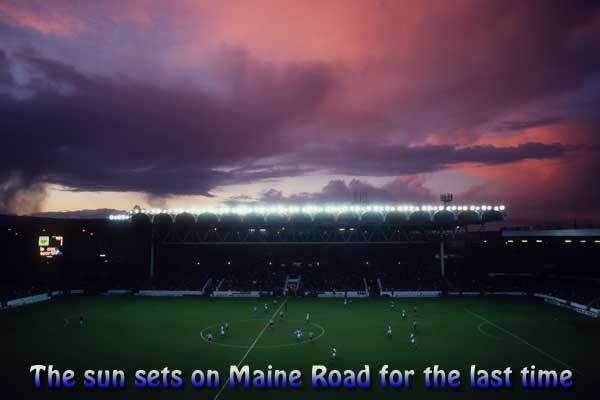 Now its the very last day at Maine Road - the End of an Era - below are a few pictures to help capture those memories that will pass into the history of this great club. 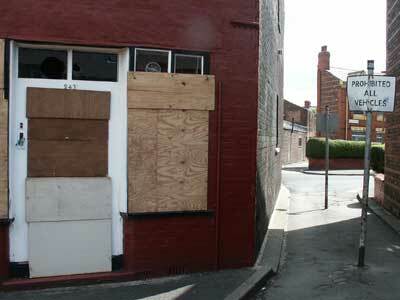 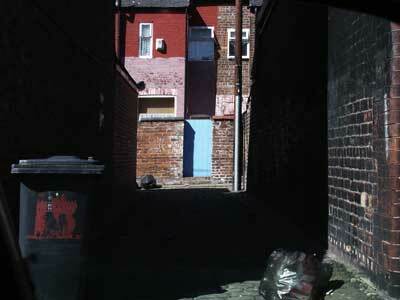 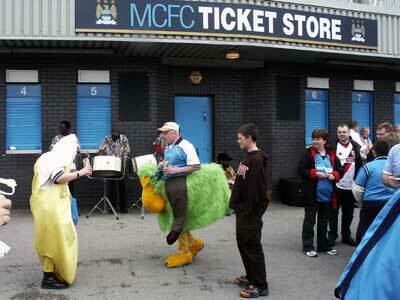 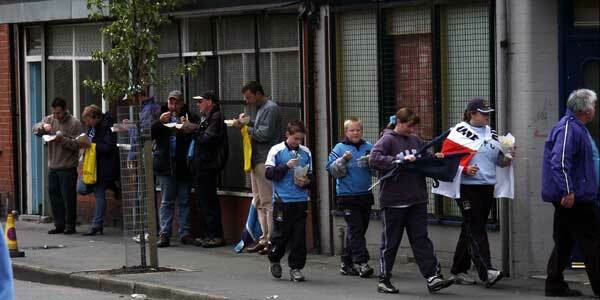 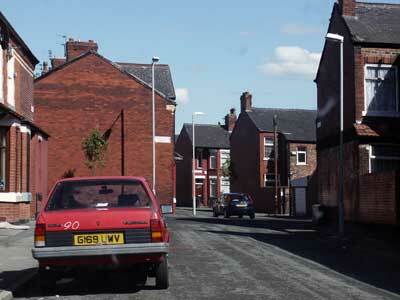 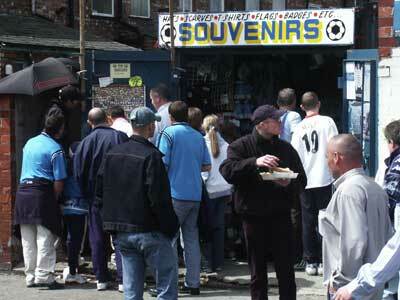 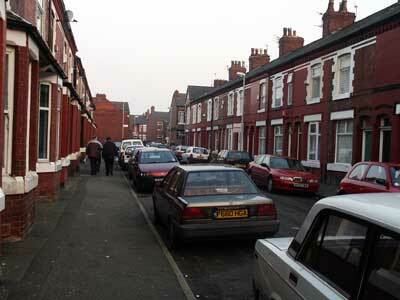 The streets and alleyways around Maine Road are a familiar sight to supporters walking or driving to Maine Road. 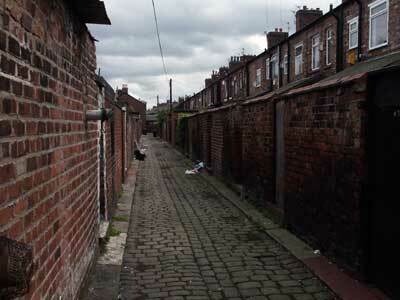 Alas, in the old days the alleys were used by many as urinals. 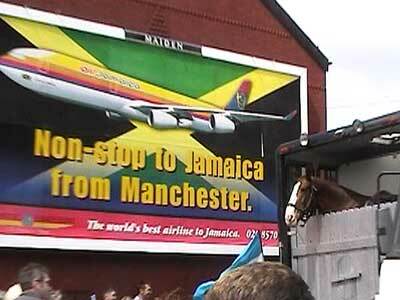 I hope when Maine Road does finally come down, the area will be used to create an environment to help the local people who have had to put up with us for the past 80 years and perhaps include a reminder of the clubs past history. 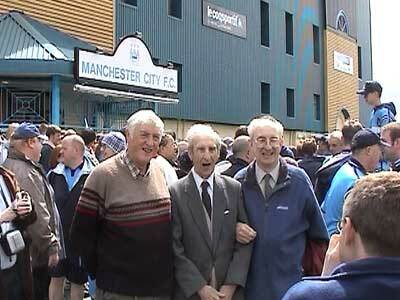 Perhaps an indoor sports facility for the local youngsters with a small commemorative garden for those whose ashes have been laid to rest at Maine Road would be part of a positive project for the future. 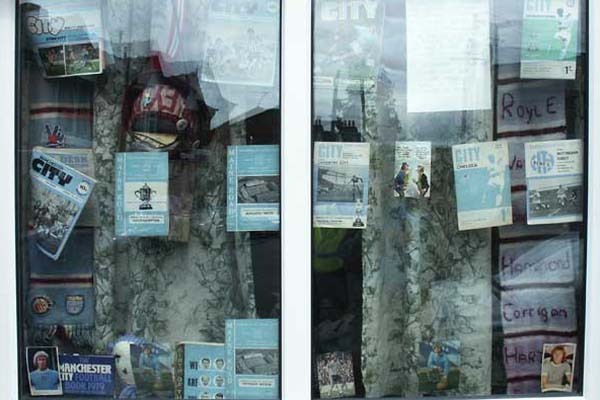 One of the local householders had set up this display in their living room window of old City programmes and memento's. 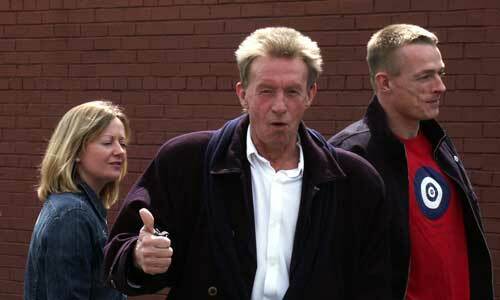 Bumped into Denis Law - above - just after parking the car and later nearly got my foot run over by Robbie Fowler's taxi that was trying to worm its way through the crowd infront of the main entrance. 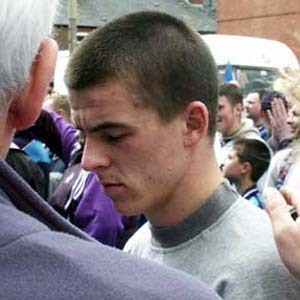 In the taxi also was Joey Barton -above who signed a few autographs for fans. 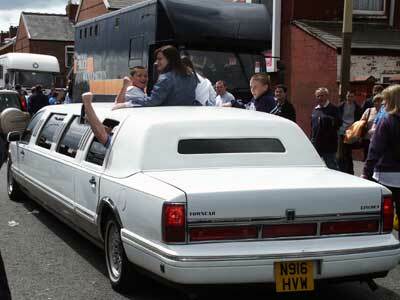 It looks like Noel G is arriving ......................................................and yes he's looking good! 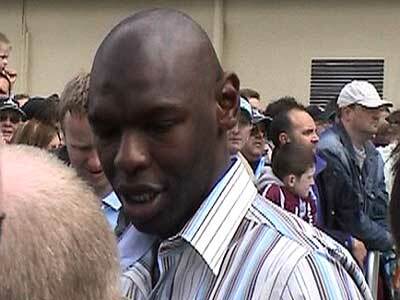 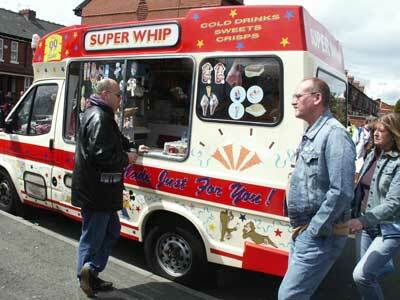 When Shawn Goater arrived he spent a good twenty minutes signing autographs for the crowd. 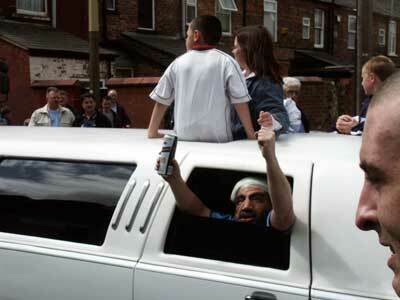 Typical of this true blue professional. 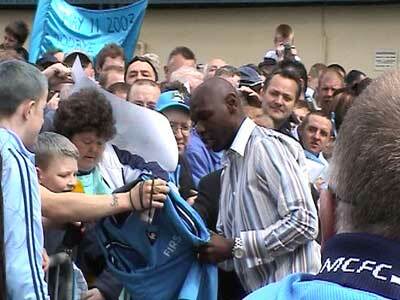 He will be sorely missed unless he changes his mind! 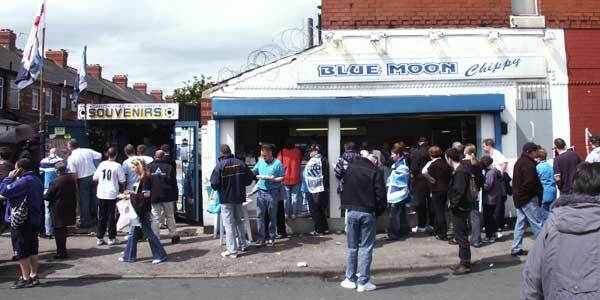 Whichever direction you are approaching the ground an important stop for many fans on their way to Maine Road will be the 'Chippy' and no doubt the income of these establishments will be hit by the move to Eastlands. 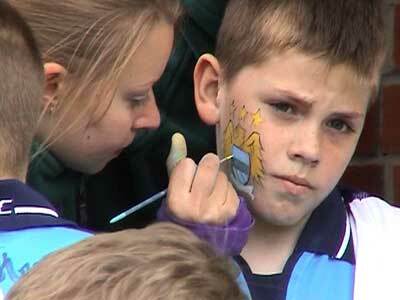 I wonder how long it will be before this youngster cleans that off his face! 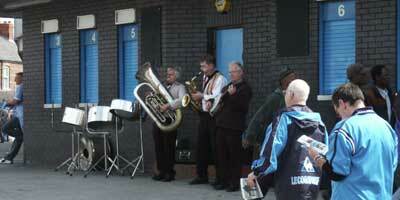 Three veteran supporters who perhaps have been watching longer than me!! 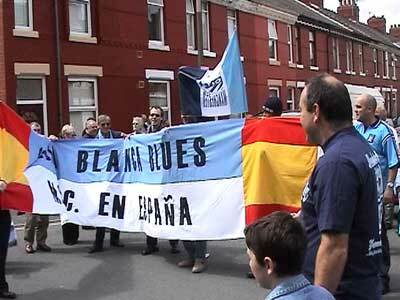 Yes, they came from everywhere to celebrate this special day. 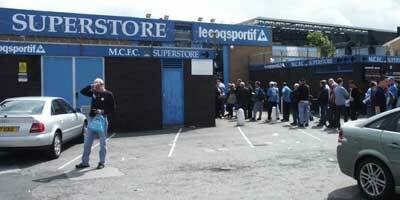 The City Superstore had a busy day with long queues and to the right is the City house soon to be left.